We’ve got some new things in store for @[742099:Sidecar] and a part of that includes revisiting the typography. Sidecar’s growing up, ready to feel more educational and inspirational. 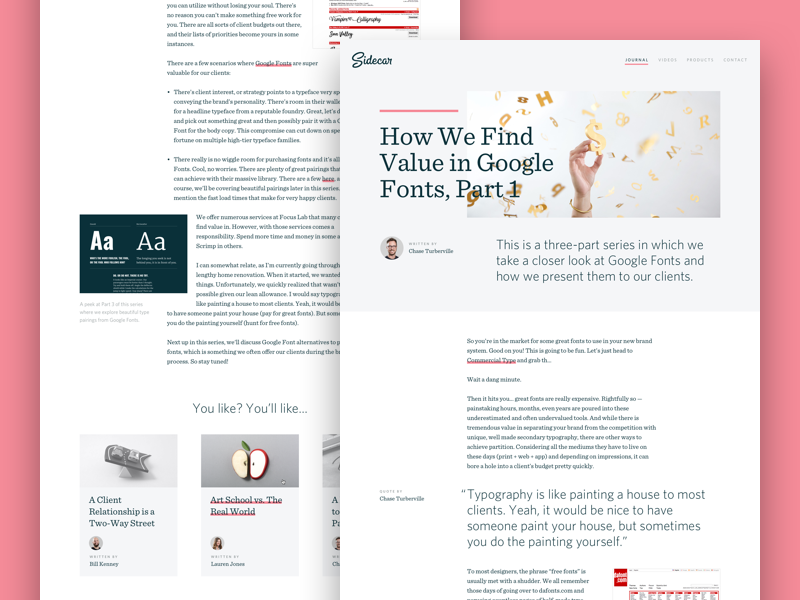 Here’s an example blog layout, using one of our recent posts about Google Fonts. A Dribbble shot about typography using a post about fonts. So meta. I’ve been going back and forth on nailing down the right serif. What do you all think? Two options attached.